We all have been searching some best way to get Amazon Gift Voucher. Now I have stumbled upon the Throb App which is giving Amazon Gift Voucher by just Referring to your friends, Following them on Throb App and then collecting some points on it. You can easily get "Amazon Gift Vouchers" by just Signing Up on the Throb app then follow some rules of collecting points on this app afterward the highest points gainer will win amazon gift card. Which you can use on your amazon India account. In Throb App Refer and Earn Program which is offering 500 Rs Amazon Voucher by scoring high points in few weeks. In Throb App you have to do complete some tasks if you want to earn points. Like you have to Refer this "Throb App" to your friends to earn points which will later reward your an "Amazon gift voucher". When you'll open the Throb App you'll see some questions on various topics. You have to select some five of the questions from them and have to answer them. If you want to unlock the Treasure of points. Eager to earn Amazon Gift Vouchers as early as possible then you have to collect points in throb app. For earning points, you have to simply answer the five questions, refer your friends to throb app if they use your throb referral code as your number will be your referral code on throb. You can also earn some points if your friends follow you on throb using your number, email or unique name. How To Earn Amazon Vouchers On Throb App? First of all Download the Throb App Download. Click on Profile Icon and Click on Login Option. Now Enter your all Required details such Name, Email, Number etc. After that Enter "9034281183" as Referral code in order to get initial points. How To Refer and Earn on Throb App? Any new user on throb app referred by you will help you to earn points on throb app during this offer period. Remember one thing that points will be credited to you only if you follow or get followed back by your friends or for questions answered by your friends who has joined throb app during the offer period if they have been referred by you. Apart from this, they have to verify their number and email id on throb app. Your Registered Phone Number is your Referral Code on Throb App. So you have to Share only the Download link of Throb app along with your Registered Mobile Number. How You Can Score/Earn Points On Throb App? Before referring throb app to your friends. First, you have to collect points for your throb account. To do that. See your Home Page Dashboard. You'll see some questions. Scroll Up or Down to choose the question to which you want to give the answer to. After giving the answer to 5 questions you'll be able to see the Throb Light to check your points. - 1 Point - For each question answered by you during the period. New questions are live every day. - 2 Points - For each NEW FRIEND who joins Throb during the period using your mobile number as referral code. - 1 Point - For each NEW FRIEND who follows you during the period. - 1 Point - For each NEW FRIEND, you follow during the period. - 1 Point - For each question answered by your NEW FRIEND. How To Check Your Earned Points On Throb App? 1. First of all, On Home Page, You'll see Throb Light. 2. Click on Throb Light you'll see your weekly points. 3. To Unlock the Throb Light you have to answer the 5 Questions. 4. After that, you'll check your Weekly Points on Throb App. 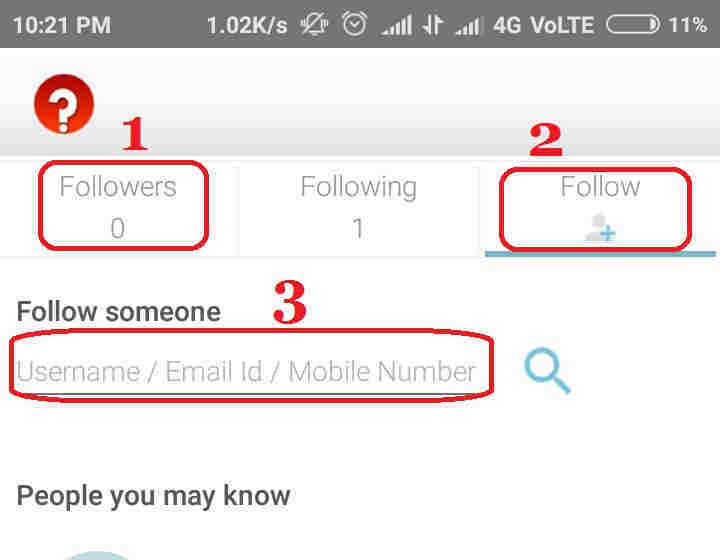 How To Follow Someone to Earn Points on Throb App? During the offer period, as stated in the terms and conditions of scoring points on throb app you'll also earn the points for following you someone or that person followed you back. So you have to follow more people in order to score high points in throb. On Homepage you'll see Followers, "Following" and "Follow" option. After that Click on Follow option. 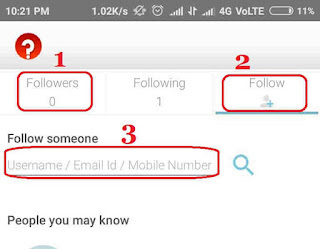 Now Enter the Username or Phone Number or Email to search that person to follow him/her. You can follow me by entering "9034281183" to earn 1 points. 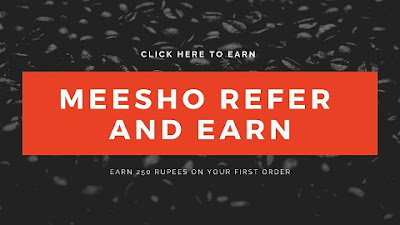 So in throb app "Refer and Earn Amazon Voucher" in a better way to call this offer. It is simple to earn points on Throb app by referring this app to your friends doing particular tasks within the app to score high. Follow your friends or ask them to follow you back on throb app to score high to be eligible for Amazon Voucher.